Eagle eyed readers (Nana?) may have noticed that I’ve not made a Charlotte Royale this week. Partly because there’s only room for one Charlotte in this house, but also because: over a KILO of fresh berries? fourteen eggs? for something that looks like a brain? Are you MAD, Mary?! 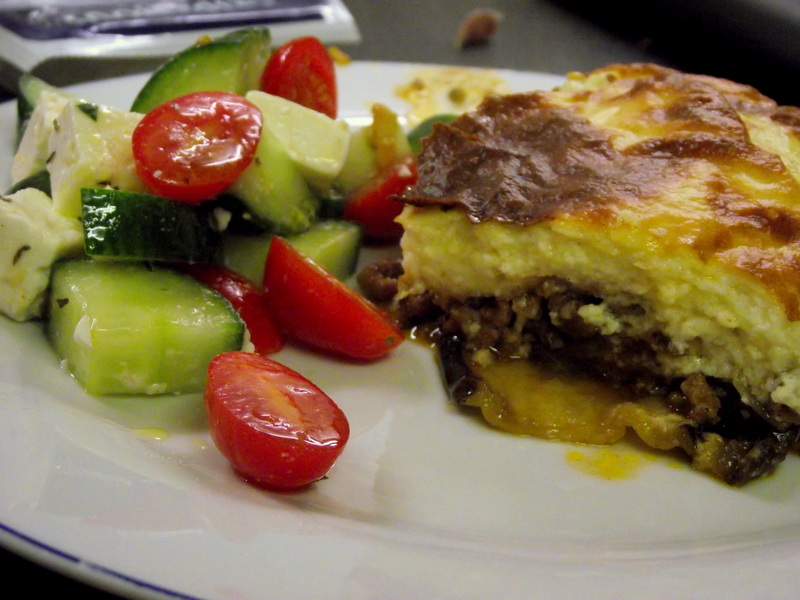 Have a mousakka instead, lovely comforting moussaka. We had this pretty much every day in Kefalonia (along with at least two saganaki) and five months later I felt ready to face it again. This is from the lovely Felicity Cloake, who tries all the other recipes out so you don’t have to. 1. 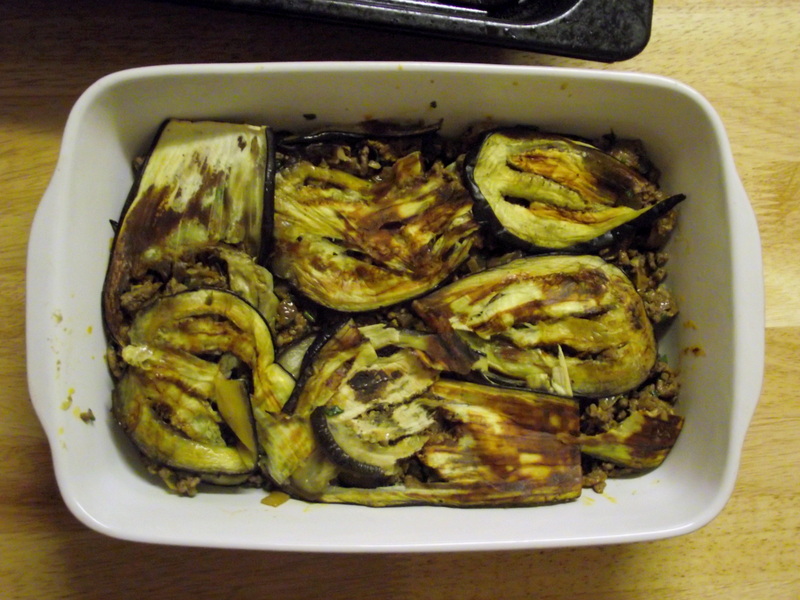 Cut the aubergine lengthways into thick slices, about 3/4 centimetre. 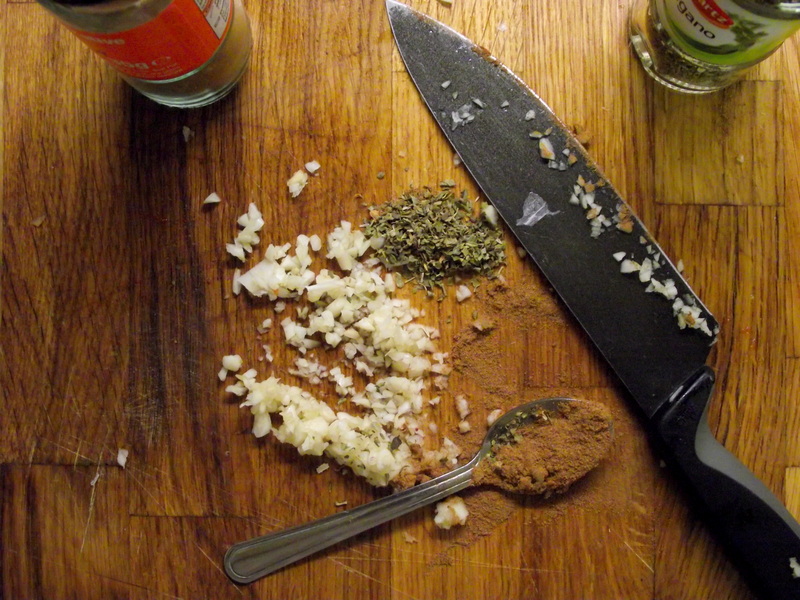 Brush with olive oil on both sides and season. Spread out onto a baking sheet and bake at 180C for 20-25 minutes until soft and golden. 2. Meanwhile, soften the onion in a large frying pan. 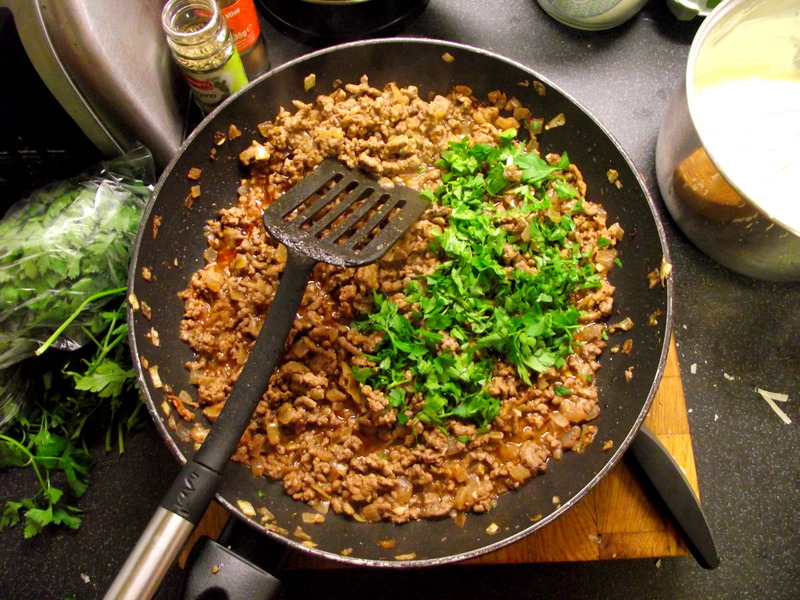 Add the spices and garlic, and cook for another couple of minutes before adding the lamb. Cook over a high heat until the lamb is browned and any liquid has almost gone. Add the wine and tomato mixture, then simmer over a low heat for 30-40 minutes. Season and stir in the parsley. 3. 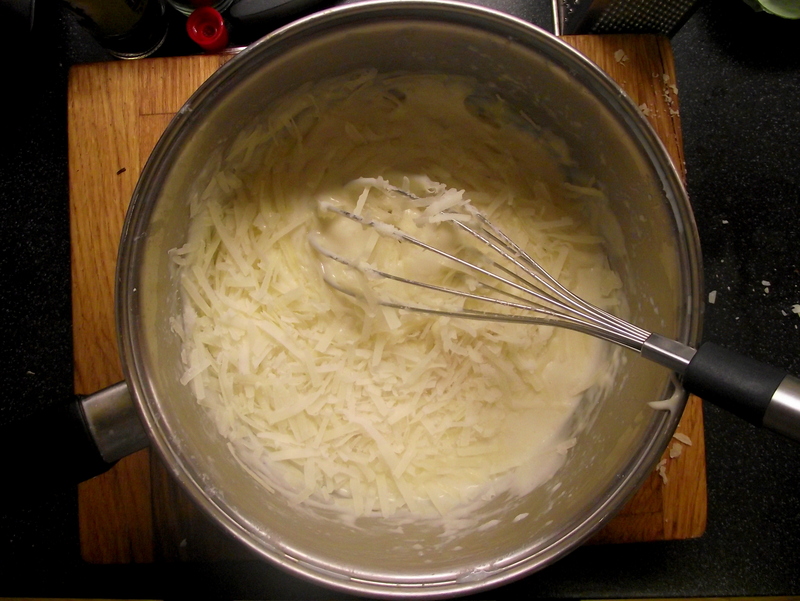 To make the bechamel sauce, gently heat the milk. In another saucepan, melt the butter then stir in the flour. Cook for a couple of minutes, then gradually whisk in the hot milk. When the sauce is quite thick, stir in the cheese to melt. Remove from the heat and allow to cool slightly before beating in the eggs, salt and pepper, and plenty of nutmeg. 4. 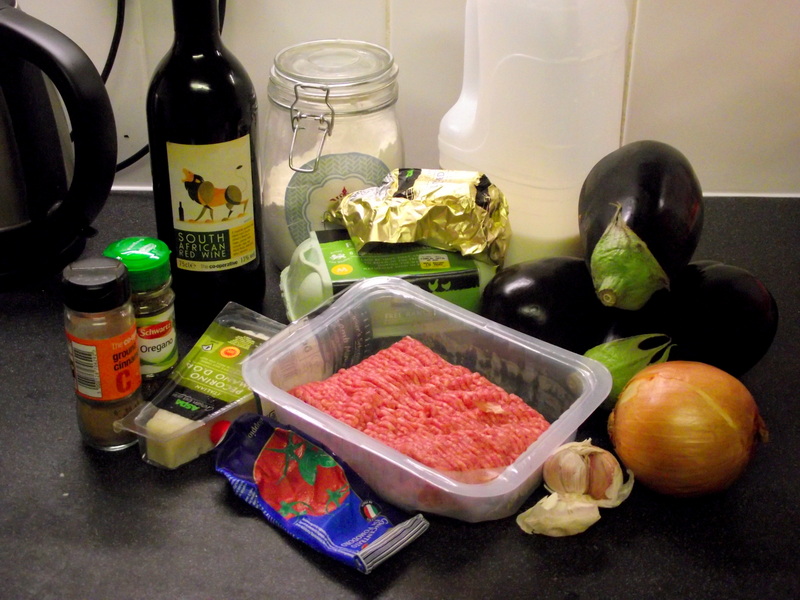 Layer the meat and aubergines in an oven dish, starting and finishing with the meat. 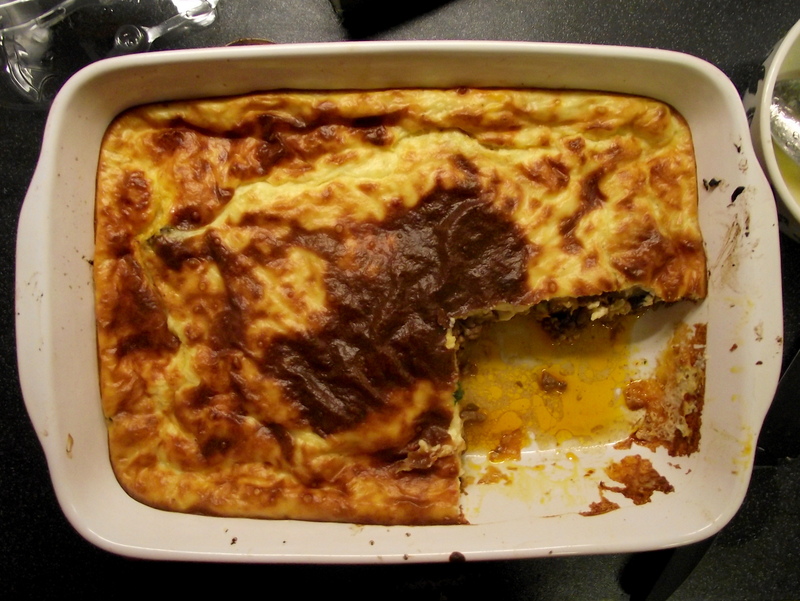 Top with the bechamel and bake for around 45 minutes until the top is puffed up and golden brown. If you can, wait around half an hour before serving. Looks dreamy, I love felicity’s column! I totally agree with you about the Royale, I didn’t attempt it either! I really wanted to because I’ve made all the others so far, but when I looked at the ingredients list I just couldn’t face it!